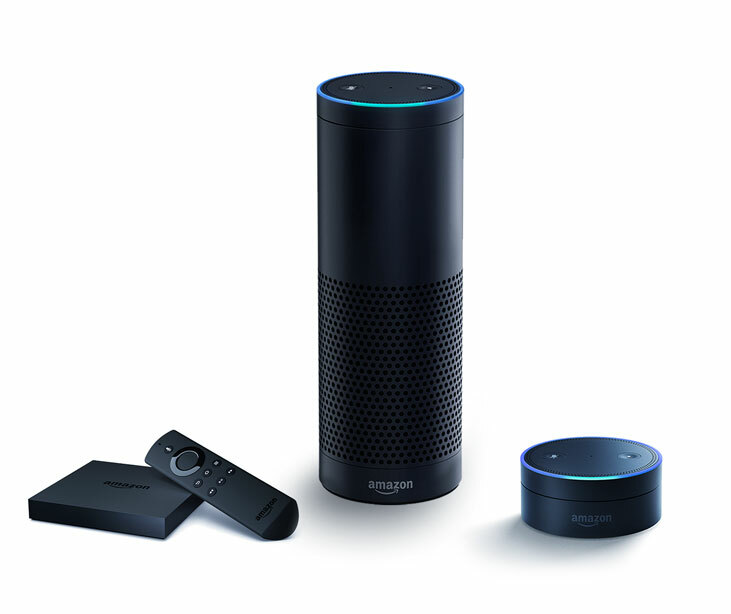 Updated Bible App for Voice: More to try on your Amazon devices. First Century Christians treasured the apostles’ letters, hand-copying passages onto scraps of papyrus to share with one another. Today, our smartphones give us hundreds of complete Bibles in our pockets. And those early believers would be astonished to see us speak into the air… and then hear God’s inspired Word read back to us! 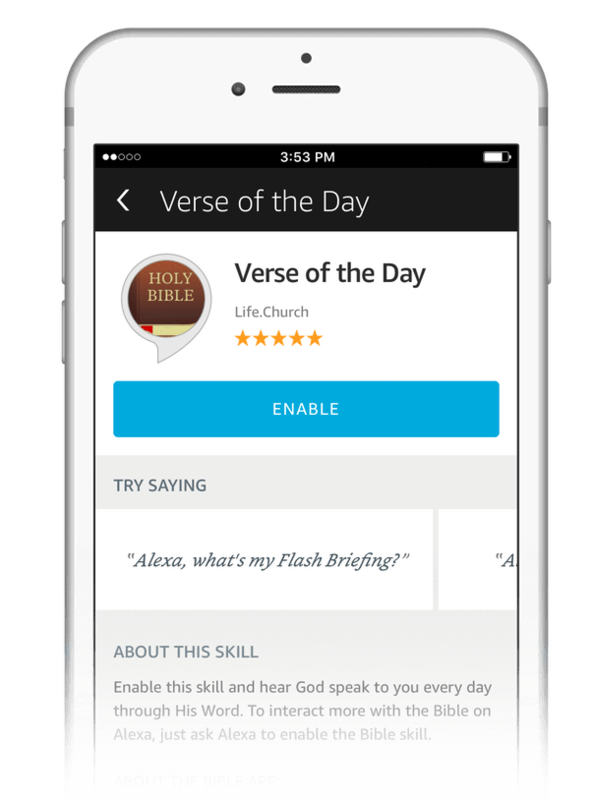 Our latest update to the Bible App for Voice makes it more amazing than ever. If you’ve already enabled Bible on your Amazon devices, then you can immediately start trying everything you see below. But if you haven’t, just tap this button (or use your Amazon Alexa App to enable the Bible Skill). Add Verse of the Day to your Flash Briefing. Tap Settings > Flash Briefing. Tap Get more Flash Briefing content. Search for “YouVersion verse” (without quotes). Select Verse of the Day. 1 Verse of the Day for Flash Briefing is currently only available in the NIV. Enjoy the richness of God’s Word in professionally recorded audio Bibles. 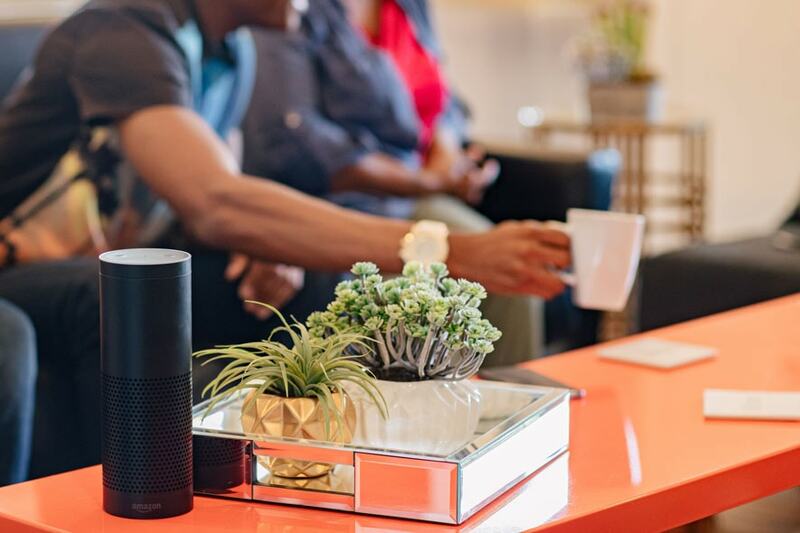 You can even ask Alexa to read to you. Try asking for what you want, in the way you want.